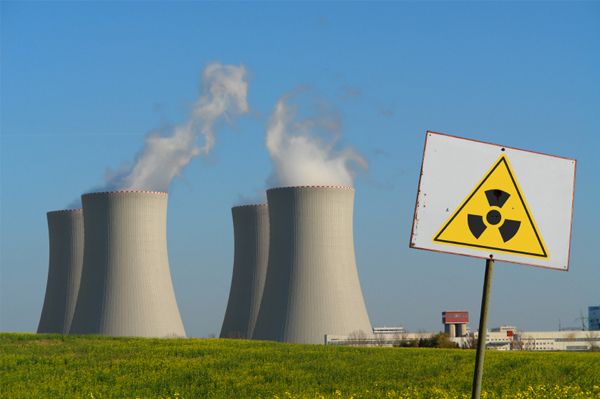 Following the devastating earthquake in Japan last month, which caused explosions at the Fukushima nuclear plant, we’ve been hearing a lot about radiation – how much has leaked, how far it will reach and what the immediate and long-lasting effects are going to be. Though the initial panic over radiation has waned and the levels of radiation that have been detected in the US are very low, SheKnows turned to Dr. Carolyn Dean, ND, medical director of the Nutritional Magnesium Association, for some answers about what the health effects of radiation are and what can be done about it. When the body’s cells are exposed to radiation, the DNA and proteins inside the cell become ionized, Dean explains, which means that the electrons inside the atoms that make up the cell’s components are “knocked out,” and the DNA and proteins become damaged and lose proper function. “Since nearly every component of the body is composed of protein and DNA, there is a head-to-toe fall-out from radiation exposure,” she explains — with some examples below. Nervous system: Brain, nerve cells die, which can cause seizure. Vision: Cataracts can form in the eyes. Thyroid: The thyroid can lose function, which affects normal metabolism. Lungs: Risk of lung cancer is increased. Heart: Blood vessels cells near the heart are damaged, which increases risk of cardiac failure. Digestive system: The cells in the GI tract are damaged, which can lead to indigestion, nausea, vomiting and diarrhea. Reproductive system: eggs and sperm can die. Skin: Skin cells can become burnt and damaged. Immune system: The cells of the immune system are not adequately replenished, leading to increased risk of infection. Nuclear plant reactors leak radioactive iodine 131 into the atmosphere, which puts people at risk for health complications. Nuclear disasters like the one we’re currently watching unfold at the Fukushima nuclear plant in Japan, and the earlier disasters at Three Mile Island in the US and Chernobyl in the Ukraine, released huge quantities of iodine 131 into the atmosphere, explains Dean. Radiation is measured in a unit called sieverts, and Dean explains that radiation leakage in an immediate area up to 0.8 sieverts can cause radiation sickness, and as little as 3 sieverts can cause death. By comparison, an airport scanner produces 0.0148 microsieverts – a comparatively insignificant amount. Adults are less sensitive to radiation than children are, because children are still growing and their cells are dividing more rapidly. With more cells dividing, radiation has a higher chance of disrupting this process, Dean explains, adding that fetuses are also very sensitive to radiation. Dean lists thyroid cancer and genetic mutations in fetuses as two major post-radiation-exposure risks. Problems for developing fetuses can include smaller head or brain size, poorly formed eyes, abnormally slow growth and mental development issues, the medical expert explains. When it comes to cancer, since most people are deficient in natural iodine, the body absorbs the harmful iodine 131 instead, which can lead to thyroid cancer. Before you run out and start taking supplements to counter radiation, remember that the current levels of radiation being detected in the United States are low and that radiation treatments have their own set of side effects. Talk to your doctor before taking any medication or supplements for radiation. Iodine: By taking 150 micrograms of iodine 127 daily, you are likely to be protected from iodine 131 absorption, says Dean. Potassium iodide: Another supplement that can be taken is potassium iodide, but she says these should only be taken on an emergency basis if you are within 15 miles of a nuclear meltdown – they can have harmful side effects and should not be taken unless health officials are sure the radiation is about to reach your area. Natural remedies: There are also some more natural ways to help the body eliminate radiation, Dean says, including thyme tea and kelp (known to assist in the elimination of radiation poisoning), seaweed (eating 5 to 10 grams daily helps protect the body from iodine 131 absorption), activated charcoal (taken orally can help neutralize radiation) and taking a radiation detox bath, which contains detoxifying minerals such as magnesium.